She often looks in the mirror and asks me if she looks like a high schooler, because she wants to look like a high schooler! Oh my goodness. Where does she get this stuff? On her big day she woke up to rainbow streamers hanging from her bedroom doorway (a little tradition she has come to love) and a stack of small gifts (fuzzy socks, a new swimsuit, Mike ‘n’ Ikes, granola bars, a new DVD and overalls). For her birthday meals she chose breakfast at Waveland Café West, lunch at McDonald’s and then lunch the following day at Texas Roadhouse. This girl knows what she wants! For her friend party this year, we invited a few of her besties (unfortunately one got sick and wasn’t able to make it) to a hotel for swimming, cupcakes, arcade games, pizza and a sleepover. 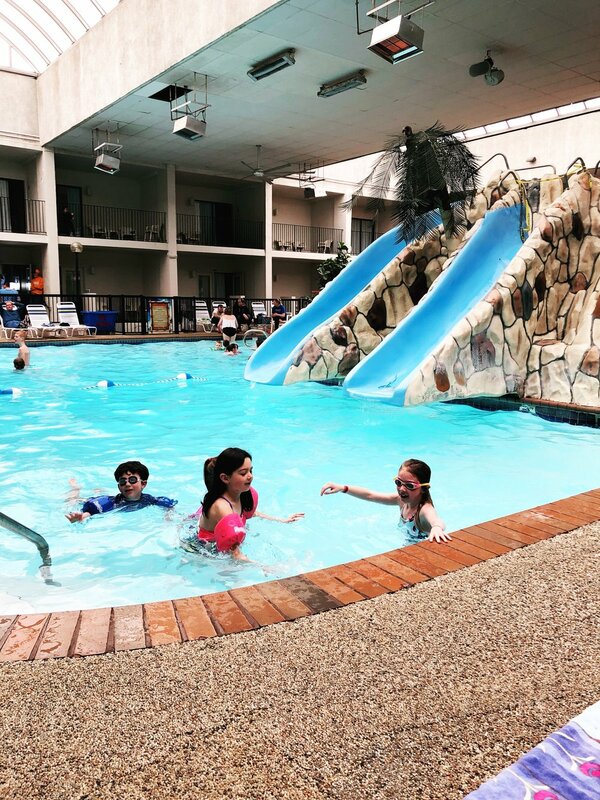 Staying and swimming in hotels are her favorite thing, and it was a blast! Every year since she turned 3 I have interviewed her with the same questions (I added a few more this year just for fun) … here are her answers as a 7-year-old! If you could get anything for your birthday, what would it be? The new Grinch movie! I keep telling you that! Happiest of birthdays to this awesome girl. I love you! three days in Nashville, Tenn.